The Expanding Frontier | "The time you enjoy wasting is not wasted time." I’ve had a bit of a disappearance due to work and, well, gaming. However, in recent news was the long announced (and inevitably delayed) release of Minecraft which brought a lot of things that irritate me to the forefront. Its user score hit amber on Metacritic a short while ago. I don’t think it’s a mediocre game, far from it, but I can understand the reaction of many of the gamers who are reacting against the squealing Notch fanboys and the strong bias of professional critics who rally behind the idea that the game is the best thing since sliced bread. I thought the older user score of 7.5 was a little more realistic, but it’s continued to drop. The Binding of Isaac has a classic, rogue-like element mixed up with older console adventure games. You won’t get anywhere near the amount of play hours out of it as Minecraft, but it’s a great example of indie weirdness. It has a vague allusion of Judaic mythology as the player controls Isaac who must escape the basement from which his warped mother wishes to sacrifice him, encountering monsters and deformed siblings on his way to freedom. In many ways, Saints Row picked up where GTA 2 left off. By the time GTA 4 was hitting shelves, the series had gone a tad insane in many ways. The first two games were anarchic and did not take themselves seriously in the least. GTA 3 started a trend of trying to add a gritty side to the games and by the time GTA 4 was on screens everywhere, it was hard to see coherence between the bleak existence of the central protagonist and the zany slapstick carried over from the earlier games. Saints Row became, in many ways, the true inheritor of the pure slapstick of the first two GTA games. An interesting new take on the old tower defence model. Your basic job is defend a series of towers from hordes of orcs and their cohorts. The production values are good for an indie and the game has good humour running throughout that does not feel forced. 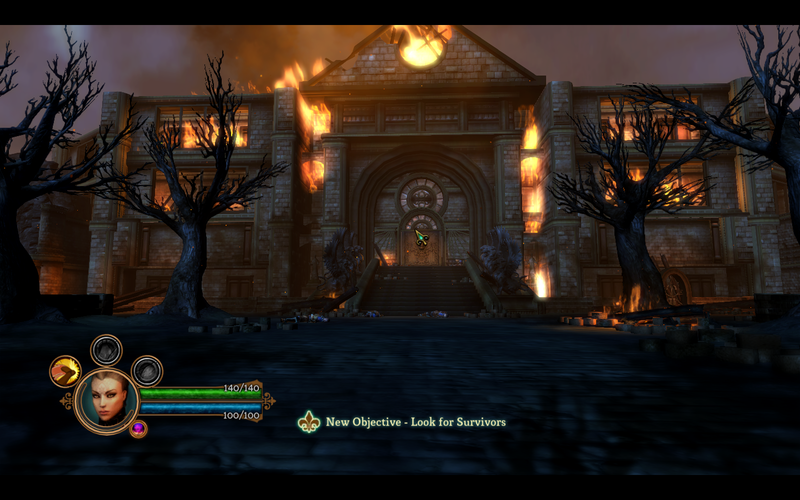 As with games like Sanctum, the game boasts a large amount of DLC and the ability to get involved with the suppression of invading forces as opposed to merely leaving it up to the defences you build. Most people will know why this game is considered great already, but I’ll re-iterate here. State of the art graphics and sound with more varied terrain than Oblivion, randomised dungeons and countless quests, a more skill-focused character design with perks each level. Based off a new internally-designed engine and a new character generation system, the game opens up a lot more possibility for customisation than removed with its radically changed character design. The game world feels more real, more dynamic than Oblivion and the continued improvements in these areas point to even better in the future. I have to admit, I was rather late on the bandwagon for this one. There’s very little to say against this game though, a paragon of action adventures, it combines elements of gritty fantasy with frontiersman Wild West and post-apocalyptic searching. The aim of the game is to rebuild the city that has fallen under a terrible blight (known as the Calamity) and cracked into several floating islands by finding and reclaiming the cores, bringing them to the sanctity of the bastion where the townsfolk were meant to gather. The game features gameplay and stylistic choices influenced by JRPGs, of which I’m not normally a fan, but its execution is slick and well-crafted. I’m not saying Minecraft is a bad game. I just feel there’s a lot of hype around it and that the rating of 7.5 I first saw was a lot more realistic to the end product than the near uniform bleating of the praising critics. After his bad air with Bethesda and the nastiness with Yogscast at MineCon, maybe the mediocre user reception will make Notch a little more humble, because he needs to be brought down a peg or two. Last week, the recently F2P MMO Crimecraft: Bleedout had a special offer on that was typical of special offers on the F2P sections of Steam: join, try it now and you’ll get in-game advances and items for which you normally pay. These offers work because it gives an incentive to try a F2P game out of the bunch that you wouldn’t normally pick up. I play a few F2P games, I generally aim to be cost-effective when it comes to gaming, a hangover from bygone unemployed days and F2P games give a lot of room to try before cash changes hands. This is good and I generally find the games that I pay into are not ones I feel I need to pay into to get ahead, they are games like League of Legends that end up making pay cash almost as a ‘thank you’ to the developers. That’s the attitude I’ve stuck by, games that feel like they are wrangling cash from me fall by the wayside. Now, this sort of offer on Steam is great because I can’t download and try every F2P, nor would I want to. My games catalogue is massive on PC alone, not adding in the catalogues of my retro home computer and console gaming or the tabletop gaming I do. I will never run out of what I already have to play unless I moved into my dad’s attic and quit my job and all social contact. Further, I would need to wade through as much rubbish as my current catalogues to find the League of Legendses or Lord of the Rings Onlines. These offers are a great way to tapping the flow, as it were, and offering up the F2P buffet in manageable plate-loads. The problem is when a game company seems to want more players than it is willing to reasonably support. So this offer on Crimecraft was up until the 29th and I made several attempts to get in there, create a character and play. I download the game via Steam, create my account, login. There are two servers. The first (Exeter) is full and the other has a population of high (Euricho). So I try Euricho first and I’m put in a queue of nearly 700 people. I estimated by the drop rate that it would take me about half an hour to forty-five minutes to get in, so I try later. Later does not work. The same problem in both servers. They are stretched beyond what they can reasonably support. I don’t mind the game supporting such a limited userbase, it’s ultimately up to the game publishers, but why have a special offer trying to draw more players in when the special offer will only be accessible to a remote portion of those players? Sure, it will potentially increase the player base and, therefore, income for the game. I tried logging in today and neither server was a problem this time, so it was short-term, but it doesn’t say much for the game’s attitude to its players. Imagine logging on to the game as a loyal player who’d been playing that game before the offer. Suddenly, you cannot play or are forced to wait up to an hour because they want to cram their servers full with potential cash-giving players. Vogster (the developers) have a more than healthy sized community playing their game for the resources they allot it, unless their servers report false stats about player numbers. If they want to increase their base beyond what they currently have, they need an extra server. The bigger problem is that this is indicative of some of the bad thinking behind F2P models. Players aren’t there to sell a set product to or build relationships with, they are cash pumps and you fit as many of them as you can in your game. Crimecraft isn’t necessarily advocating this outlook, but it would seem it given they made a drive to get more players than they can support comfortably. People need to be very sceptical of F2P games and I think they really need to know the sorts of business models being used before they feel comfortable investing. Reviewed on: 17th July, 2011. Presentation: The graphics, effects and sound are very advanced and contribute a great deal to the game. Objects, characters and environments are rendered beautifully and the spell effects, while not the most amazing I’ve seen, are certainly exceptional. Atmosphere: The first stumbling block is the atmosphere. You won’t feel like you’re saving the world in a truly epic tale or just a small part in something much larger. You’ll feel like you are stumbling through the same trite fantasy scenario that could have could from any book in the oversaturated market of fantasy novels. The loot tables mean that you’ll never get equipment as impressive as some from Diablo or Torchlight on top of that. Who should buy this: People who want a somewhat competent hack and slash game with a few interesting new features and can pick it up for no more than £10. People who just can’t get hold of Diablo II/Torchlight/Magicka/one of those free online hack and slash games. Who should avoid it: Anyone not in the above list, but especially anyone who wants a bug-free game or an inheritor to the Dungeon Siege games. I have already written about Obsidian’s problems. I think part of their problem is they seem so relaxed about their failures, even though they promised the errors of Fallout: New Vegas or Neverwinter Nights 2 would not be repeated in their next game. Here we are and bugs abound, patches add new ones and they have an “awww, shucks” attitude to it all. Obsidian’s sloppiness aside, it’s a game that has some strengths that do shine out: it has a very polished presentation and a few interesting twists of the usual combat. Character creation has, for better or worse, been replaced by a selection of characters. Each of these has a small set of abilities and the game is very good at making you use and learn them. You cannot just pile drive through the enemies, you have you use these skills carefully and thoughtfully at times. 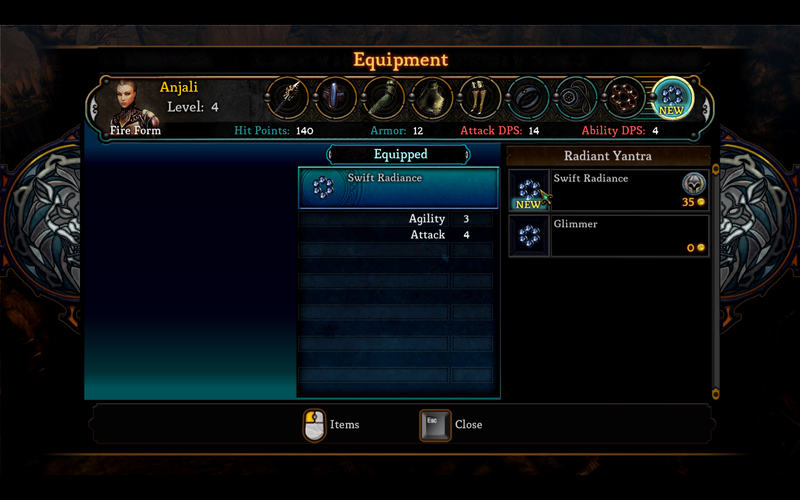 Another interesting feature is the transmutation of items for gold rather than selling them. This removes the haul of items back to a seller that you’d see in most roleplaying games. These few features do not really make up for the compromises needed to make the leap to the consoles and the resultant problems arising from Obsidian’s mistakes. First, the plot is lacklustre. Evil person gains immense power, takes over a fair, just kingdom. You are one of the few survivors and you are being hunted down. It’s almost as if they got their plot ideas from TV Tropes or something. They also make definitive statements about previous games that were ambiguous because of character design or choice (i.e. 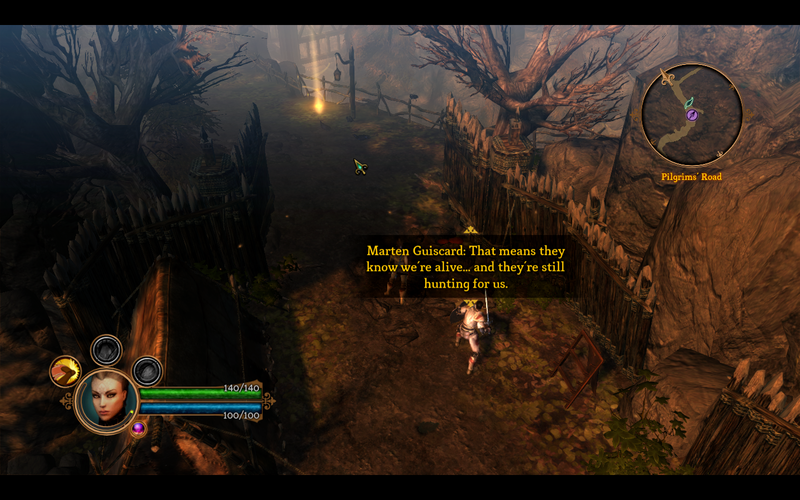 the hero of the first Dungeon Siege was female). Consoles are limited in their capabilities compared to PCs and so the adaptation of the genre to the console format brings a few necessities that are forgiveable, but for PC players to have a fixed keyboard configuration that then messes up after a day one patch is not so forgiveable. Obsidian’s attitude towards all this when they jokingly expressed that a decent tutorial system, better controls and varied loot would “make good DLC” shows a company that increasingly needs to be taken out back with a shotgun. So the patches aren’t going to be coming quickly. In my recent downtime, Fallout: New Vegas received a new bugfix and that’s been out for ages. I know these are the people who, at their core, made Fallout, Planescape: Torment and published the Baldur’s Gate games, but they are a shadow of their former selves even if a glimmer of their lost glory sparks now and again. The controls are set tight and a gamepad isn’t really ever going to be the best medium for controlling the action on the screen. It’s not as if control configuration would be too much to ask but the game feels rushed once you get passed the refinement and polish of the graphics. The loot system and equipment presents a really mediocre experience with none of the weighing up strengths or weakness of varied equipment you’d find in Borderlands or Torchlight. You’re also rushed through the tutorial of the game, which is brief and gives you no hint how the combat system really uses the special abilities. You could almost discover all this by accident after missing the brief mention of special attacks in the tutorial. You won’t feel you have real knowledge of how the inventory works in the game, nor how you really improve your skills or balance your character so you’ll end up looking at online guides or just getting around for yourself. It’s not overly hard to figure out, but a more comprehensive tutorial would be nice. Multiplayer is the real let down, however. There is no ability to form PC-only parties or get a group of friends around to play. This is a console game and you can have one extra player, who plays a kind of sidekick. The second character won’t get saved or be used as anything other than player one’s sidekick, and can often feel a little redundant. This is not attributable to error in creation, but error in design. It was not going to work so why did they make it this way? My final line on this game is that this is the sort of game that can fill a bored weekend for a single-player experience if you pick it up for a few quid in a bargain bin, but you’re not going to see it in one for a while (on the other hand, seeing how quickly Brink fell in price…). There’s no real reason to recommend it unless you are a devotee of the Black Isle cult of Obsidian or a really committed Dungeon Siege fan. If you are the former, you probably will have switched off at my criticisms of Obsidian anyway, if you are the latter, play the demo first. If you are anyone else, give this game a wide berth. Dungeon Siege III is out now and available at retail or digital distribution for around £29.99.